DIRECTV, one of the world’s leading providers of digital entertainment services, is excited to announce that it is now working with the country’s leading solar energy provider, SolarCity. 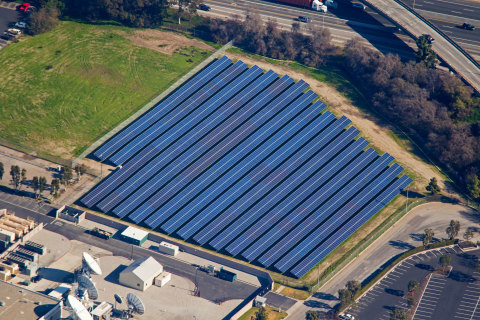 Through this new relationship, DIRECTV has newly constructed a one-megawatt solar array, located at its California Broadcast Center in Long Beach, Calif. The solar array is predicted to produce over 1.6 million kilowatt-hours annually, enough to power more than 150 typical American homes each year for the next ten years. Through its joint solar programs with SolarCity, DIRECTV will bring cleaner, cheaper renewable energy to its facilities, customers, and employees. DIRECTV has made solar energy a strategic component of its goal to reduce its carbon emissions by 40 percent by 2020. In addition to its own operations, DIRECTV’s technicians are now offering customers a convenient way to go solar on their own homes while saving money on their electric bills. Technicians can now refer customers to SolarCity, who will assess whether the customer can save money by going solar and enjoy the benefits of clean energy. Please join us for this historic Solar Farm Ribbon Cutting Event. Press are invited to attend the ribbon cutting ceremony, followed by the tours of the facility. Please arrive by 10:30 a.m. for maximum photo/interview opportunities.